Interested in a safe egg hunting experience? 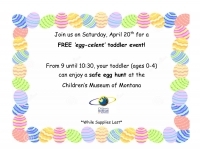 Stop by the Children's Museum Saturday, April 20th for this FREE event. 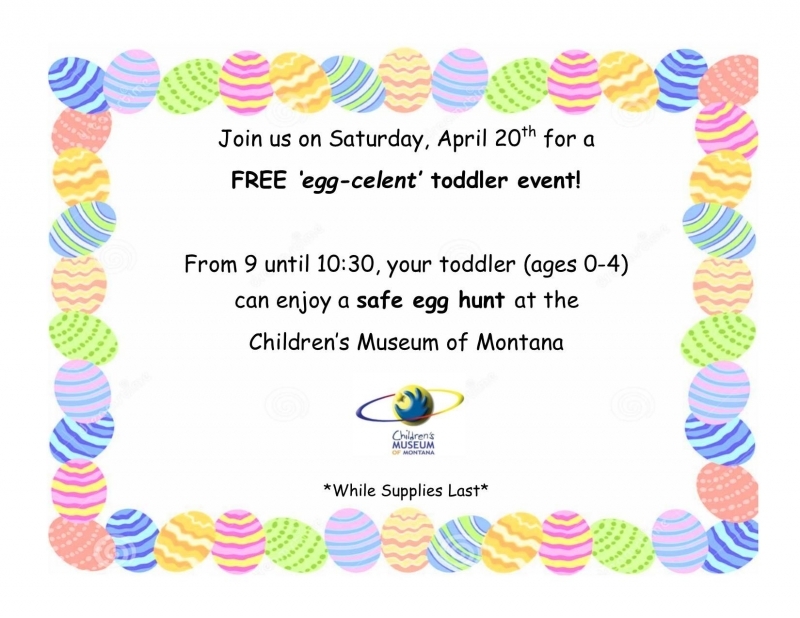 From 9 until 10:30, your toddler (ages 0-4) can enjoy fun activities and a safe egg hunt with kiddos their own age!